For the re-release, which is a now a regular offering, almost everything is the same as as the original. 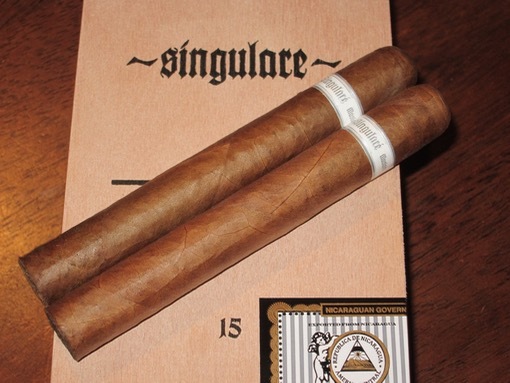 The size (6 x 50), blend (Nicaraguan puro), packaging (boxes of 15), and price ($12 per cigar) all remain the same. The only major change is the original was made at the Raíces Cubanas factory in Honduras, where all Illusione cigars were made at the time, while the 2016 release is made at the TABSA factory in Nicaragua, where newer Illusione production has moved. Visually, it’s a well-made cigar with a light brown rosado wrapper free of any large veins and just a bit of sheen. Once lit, I find a medium-bodied smoke with flavors ranging from Walker’s shortbread biscuits, café au lait, cedar, and roasted cashews. There are also hints of graphite and white pepper. Construction was excellent across each of the five samples I smoked. Variation from start to finish is limited to bursts of spice and graphite that jump forward almost randomly. The new Illusione Phantom is a complex and balanced smoke, though not as exquisitely balanced as the original. The original release Singulare Phantom got better and better with age; perhaps the re-release will too, as the flavors integrate even better with age. When I reviewed the original cigar I noted that the $12 dollar price tag was quite reasonable. The fact that, six years later, the price hasn’t gone up at all is a welcome surprise. Flavorful, complex, and well-made, the Illusione Singulare Phantom 2.0 earns a rating of four and a half stogies out of five.